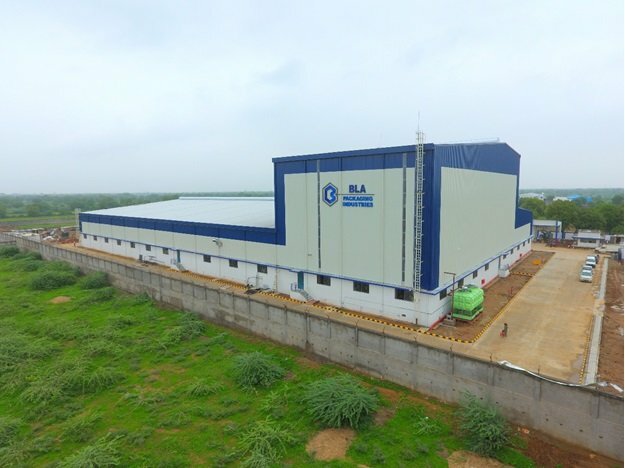 BLA Packaging’s flexible packaging plant near Ahmedabad. Mumbai-headquartered flexible packaging solutions provider BLA Packaging has installed the Flexibiz ERP solution at its plant near Ahmedabad. The software was supplied by Noida-based Kiran Consultants. The Flexibiz ERP was ordered in October last year and became fully operational in January 2019. “The growth of a business totally depends on how you analyze the productions and wastages. We heard of Flexibiz from a colleague and called the company to show their product. This was at a very early stage and it took us a while to finalize the package,” says Anuj Agarwal, director, BLA Packaging. According to Agarwal, the Flexibiz ERP package is a very dynamic software which can generate reports the way you want to view them. “It is a great platform that takes all parameters into consideration,” he adds. Flexibiz is an end-to-end enterprise solution for manufacturing plants engaged in flexible packaging, labels and cartons. It addresses all the pain points of a printing and packaging manufacturing unit. Software uses latest NET technology to offer ease of operation and data access on the go through mobile application. The same shop floor workforce can be easily trained to work on a computer. The Flexibiz ERP takes care of workflow management, monitors production status, tracks wastages, does documentation and material management, among many other things. “A good enterprise solution is a necessity today to manage the production volumes and company growth while simultaneously having a sense of control through the system with checks in place. We are happy to be a part of BLA Packaging. They have a good facility and we wish that they see multi-fold growth going forward. BLA Packaging has opted for the complete version of Flexibiz from order booking to production to dispatch, post-sales CAPA, accounts & finance, and plant maintenance,” says Gaurav Bansal of Kiran Consultants. BLA Packaging ventured into flexible packaging in 2016. Its manufacturing unit, spread over 75,000 square foot, is located about 40 km from Ahmedabad and houses some of the most modern machinery. The plant is also BRC compliant. The Ahmedabad plant has a 3-layer blown film line from Windsor, a rotogravure printing press from Bobst, a solvent-less laminator from Nordmeccanica and a solvent-based laminator from Expert, slitter-rewinder from SP Ultraflex, defect detection system from AVT and web inspection rewinder machine from SP Ultraflex. BLA Packaging supplies flexible packaging solutions to the food industry (for packaging items such as atta, tea, spices, salt and powdered drinks, among others). The company also services customers in the FMCG and pharmaceutical industry. “We plan to slowly start exporting to customers in the US, Canada and Dubai. These are the markets we are looking forward to,” says Agarwal. I am interested to know more about this ERP software. We are making FIBCs in and exporting them 100% in European countries and USA. Please send me your contact details.